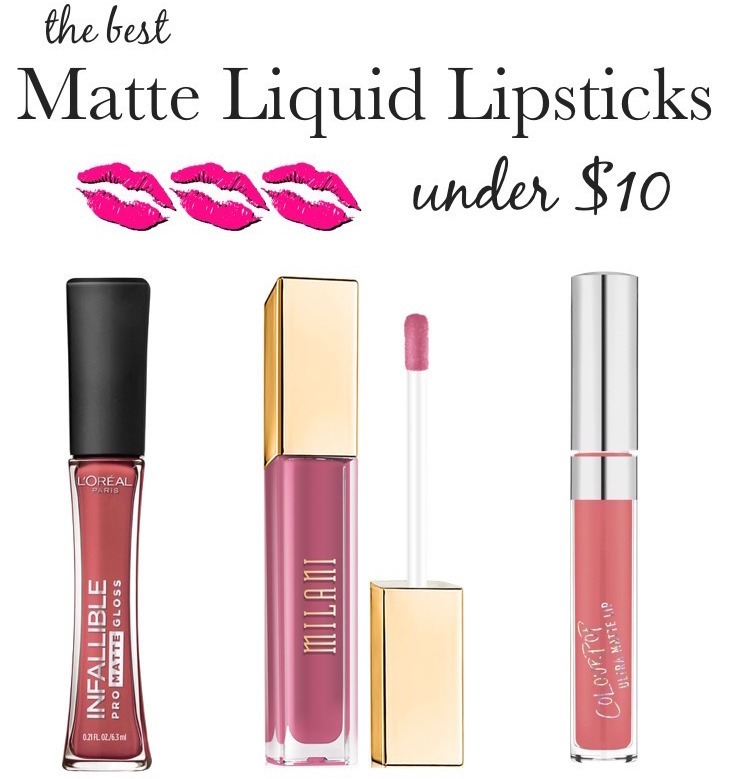 Affiliate links Last week I posted about the best new drugstore makeup hitting the shelves in 2019. Today, get ready for a roundup of all the new drugstore skincare launches! From silky serums with super-powered actives to night creams that give new meaning to the term beauty sleep, below you’ll discover a whole bunch of exciting new drugstore skincare products coming your way in 2019! 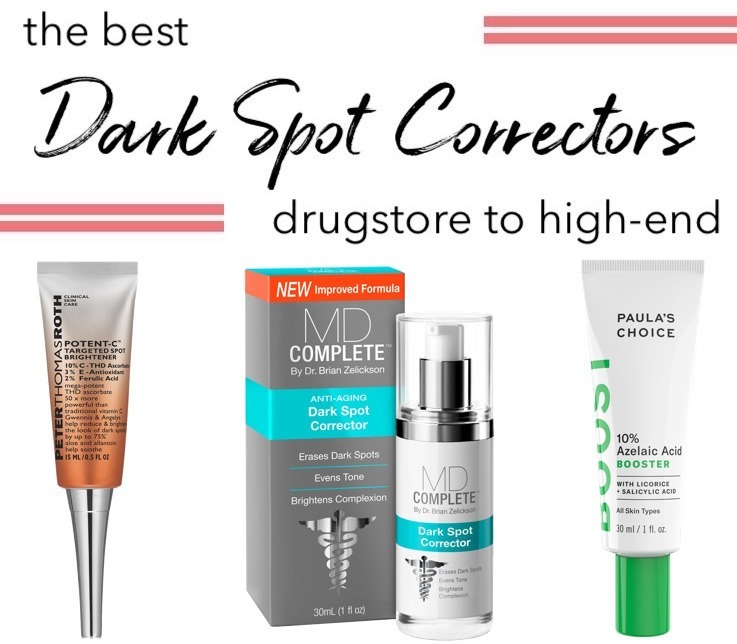 Drugstores have seriously stepped up their skincare game in a major way this year, but these fabulous finds won’t cost you a fortune – they are all under $25! Scroll through to find new wins for your skin! This antioxidant serum contains the beloved Vitamin C in combination with kelp, red seaweed, green algae, hyaluronic acid, turmeric and green tea. Not only does it brighten up dull skin but also helps fight the affects of blue light from phones & computers. Perfect for a mid-day refresh, this facial mist is infused with coconut water, hyaluronic acid and argan oil to hydrate and nourish your skin leaving a dewy glow. This luxurious vegan facial oil blend is supercharged with 10% fermented camellia oil (packed with nourishing omegas 3, 6 and 9) to deliver tiny antioxidant-and-moisture-packed molecules that plump and rejuvenate even the most parched complexions. Pesky pores and stubborn spots be gone! This at-home peel uses a specially formulated 10.5% blend of glycolic and fruit acids to gently exfoliate for smoother, brighter skin (in just 15 minutes). The addition of soothing licorice extract minimizes any irritation. Infused with soothing rose flower water and nourishing colloidal gold, this sensitive-skin friendly face cream provides lightweight moisture with no greasy after-feel. Best for normal to oily/combination skin. Cruelty-free. Bliss also a new Rose Gold Rescue Gentle Foaming Cleanser ($10.99) that’s sulfate-free and removes dirt, makeup and excess oil without over-drying. Skincare that doubles as makeup? YES, please! This antioxidant-infused sunscreen serum with a barely-there feel protects, primes and mattifies skin for makeup so that it doesn’t smudge or fade through the day. No more settling for greasy sunscreens! Olay has also introduced a new Olay Face Sunscreen Serum + Shine Control SPF 35 ($26.99) with an ultra-lightweight, antioxidant rich formula that controls oil to help your skin stay shine-free all day. Formulated with the goodness of skin-brightening vitamin C and grapefruit, this iridescent pink mask peels away the nasties for an instant glow. The tube comes with a built-in spatula for easy, mess-free application and removal. The Yes to Grapefruit collection also has a new Vitamin C Glow-Boosting Unicorn Clay Cleanser ($10.99) with a pink clay formula that turns to yellow when its ready to be rinsed off! This new Vitamin C-rich brightening skincare line by Pixi is designed to reduce the effects of sun damage, while improving skin tone and boost skin luminosity. The collection has everything from a Vitamin C antioxidant serum and lotion to cleansing water and exfoliating toner. With 3 essential ceramides, hyaluronic acid & vitamin B5, this refreshing gel-cream formula locks in moisture and improves the appearance of dry lines for instantly smoother, softer skin. It’s non-comedogenic, paraben and fragrance-free. With calming rose water, brightening kakadu plum and wrinkle-relaxing Sea Mayweed (natural alternative to fillers), this ultra-rich night cream repairs and rejuvenates skin for a healthy glow. This moisturizing mask boosts your beauty sleep, thanks to avocado oil and prebiotics that deeply moisture while helping your microbiome. Designed to relieve very dry skin from the discomfort of dehydration, this night cream from Dove contains a balanced blend of shea butter and glycerin to nourish the epidermis deep down. The fragrance-free, non-comedogenic formula is even suitable for eczema and psoriasis-prone skin. 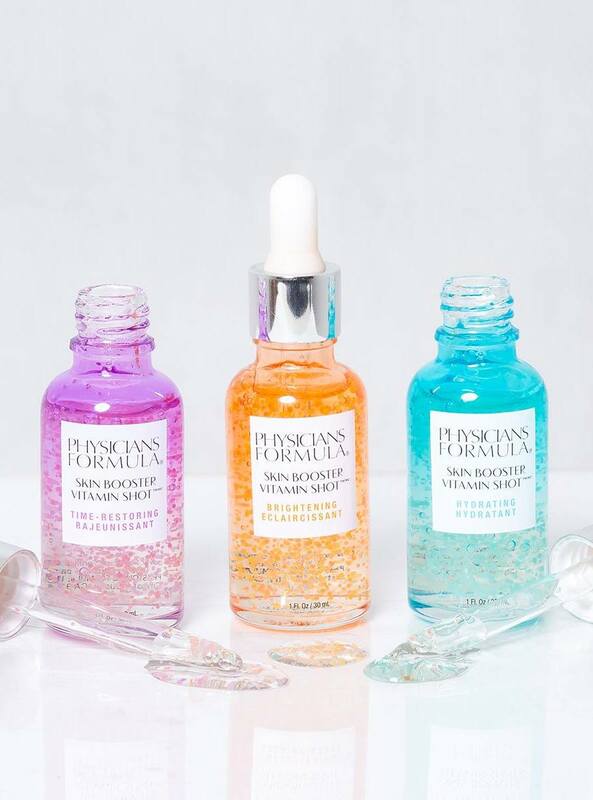 Physician’s Formula has introduced three new Vitamin Shots formulated to tackle all your complexion concerns. Use vitamin C based Brightening serum blend to reduce dark spots, Hydrating to moisturize dry skin, and Time-Restoring to smooth fine lines. With a blend of retinol and hyaluronic acid, this night serum hydrates and reduces the signs of aging. Honest Beauty (now available at Target stores) has also added a new Vitamin C Radiance Serum, Hydrogel Cream, Magic Beauty Balm Stick, and Magic Gel-to-Milk Cleanser to their natural skincare lineup. This portable acne spot treatment in a rollerball applicator delivers a concentrated dose of salicylic acid, tea tree oil and witch hazel to banish breakouts, while bisabolol and ginger extract reduces redness. The clay based self-warming formula soaks up excess oil, clarifies skin and helps tighten pores while the blue agave keeps it from drying out less-oily areas. Infused with Kaolin Clay and Tea Tree, this whipped, clay-infused lotion provides just the right amount of hydration and oil control for a long-lasting matte finish. These hydrogel eye mask patches instantly depuff under-eye area while reducing the look of dark circles. Infused with cucumber and gold to soothe and nourish, plus caffeine and hyaluronic acid for a quick hit of hydration, it’s the perfect pick-me-up for your eyes! This gentle jelly peel uniquely exfoliates with soft plant-based fibers that act like micro-lint rollers and give you supremely smooth skin–no harsh scrubbing. This zit-zapping kit knocks out blemish-causing bacteria with a concentrated blend of sulfur, charcoal and witch hazel. Works best an overnight acne treatment! This sheet mask gets you glowing with a serum concentrate of glycolic acid and herbal extracts. Just leave on for 10-15 minutes for a luminous looking complexion. Formulated with floral stem cells, green tea and rose hip extract, these pretty pink spot masks are designed for areas that need extra love including frowny face and smile lines. No need to rinse after! Infused with stabilized Vitamin C and Niacinamide, this ultra-light, but super hydrating eye cream with a subtle iridescent sheen brightens instantly and diminishes the appearance of dark circles. Enriched with Matcha green tea extract, this ultra gentle creamy cleansing balm melts away makeup effortlessly while leaving skin feeling soft and supple. Infused with Alpha Hydroxy Acids (AHAs) and collagen, this new anti-wrinkle moisturizer smoothes the appearance of fine lines while hydrating and protecting skin from daily sun exposure. Infused with natural oils to deliver intense hydration, this 100% natural formula reduces the appearance of dry lip lines leaving lips super smooth and soft. The lip oils add a subtle shine without feeling sticky.